UNITED NATIONS It’s safe to say U.S.-Russia relations have soured. Allegations of Russian hacking and efforts to influence the U.S. presidential election have White House and Defense Department officials upping their cyber security programs, and, at the U.N., the standoff between Moscow and Washington has blocked the passage of resolutions dealing with the conflicts in Syria, Yemen and elsewhere in the Middle East. Saturday, in Lausanne, Switzerland, the Obama administration will re-engage with Russia, as well as several other countries, in the hope of finding a way forward in Syria, now in its sixth year of a war that has left 500,000 people dead and 6.6 million internally displaced by the violence, according to the U.N. 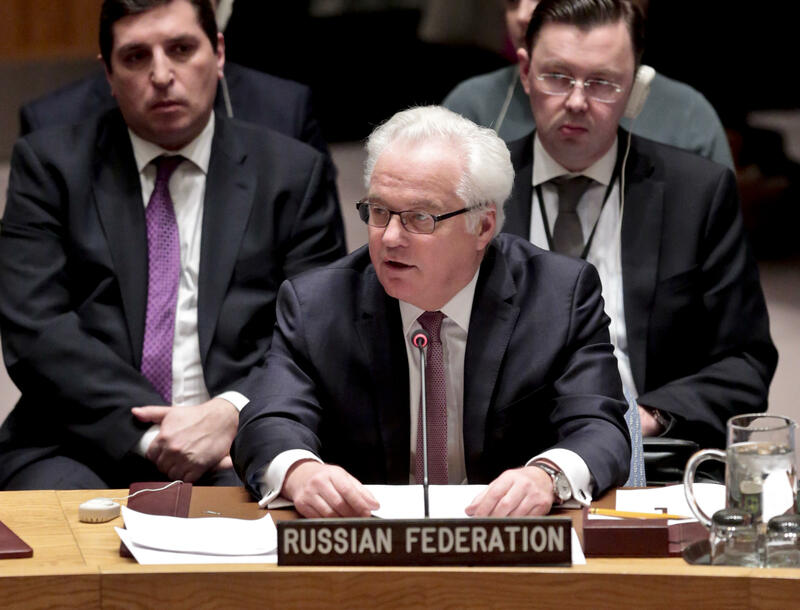 In a wide-ranging interview with CBS News and two other news organizations, Vitaly Churkin, Russia’s U.N. ambassador and current president of the Security Council, said the sticking point in cease-fire negotiations is the U.S.’s inability to separate the web of moderate opposition groups from terrorist organizations like Nusra Front, a former al Qaeda affiliate. Syrian President Bashar Assad and his Russian and Iranian allies are poised to retake the rebel-held city of Aleppo, CBS News correspondent Margaret Brennan reports. U.S. Secretary of State John Kerry will meet with Russian Foreign Minister Sergey Lavrov. Several reports indicate Saudi Foreign Affairs Minister Adel Al-Jubeir and Turkish Foreign Minister Mevlut Cavusoglu, as well as U.N. Special Envoy to Syria Staffan de Mistura, will also participate. Iran’s Foreign Minister Javad Zarif will participate in the talks. Kerry and Lavrov brokered a tenuous cease-fire deal last month, which was supposed to lead to U.S.-Russian military cooperation in targeting ISIS while allowing for desperately needed humanitarian aid to reach besieged communities like Aleppo. It dissolved after barely a week and the U.S. ended bilateral talks with Russia after a series of airstrikes led to recriminations from both sides: Russia condemned a U.S. airstrike on Syrian government troops, who the Americans said were mistaken for ISIS targets; the U.S. said Russia was responsible for a drone strike on a humanitarian aid convoy. As the cease-fire broke down, the Syrian government resumed massive airstrikes in Aleppo, destroying a hospital among other civilian targets. Despite the breakdown, Churkin suggested the original agreement could be resurrected. “The big distinction between the Cold War and the current climate is that during the Cold War, the attitude at the U.N. was that Russia would never vote with the U.S.;” now, he said, the two nations cooperate in several areas and worked with the U.S. and other nations to find a consensus candidate to be the next Secretary General. Churkin said that new ideas will be on the table in Lausanne and the idea that the U.S. and Russia would both have troops side by side at the Castello Road in Syria, in order to enable humanitarian aid into besieged Aleppo, is still on the table.